Wrestling is one of the oldest sports known to man and is one of the original Olympic events. Although it is not widely known, Southeastern Pennsylvania is one of the premier areas for wrestling in the entire United States. 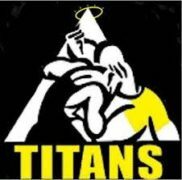 The Titans are part of the thirty-two team Inter County Wrestling League (ICWL) with each team ranging in size from 60 to 120 kids. Our organization coach’s kids from 4 to 14 years old in basic and advanced wrestling technique. The sport is very technical and our kids grow through the sport to become more mature, self confident and the very nature of the sport promotes a can-do attitude.